The Fame DP-9000 has 88 velocity-sensitive keys, which are equipped with a very realistic hammer mechanism. This simulates the natural feel of an acoustic piano. With this authentic keyboard, you have the feeling of playing an acoustic piano right from the start. The DP-9000 contains 672 sounds, starting with a very natural piano sound, guitars, wind instruments, orchestral sounds and modern synthesizer sounds. 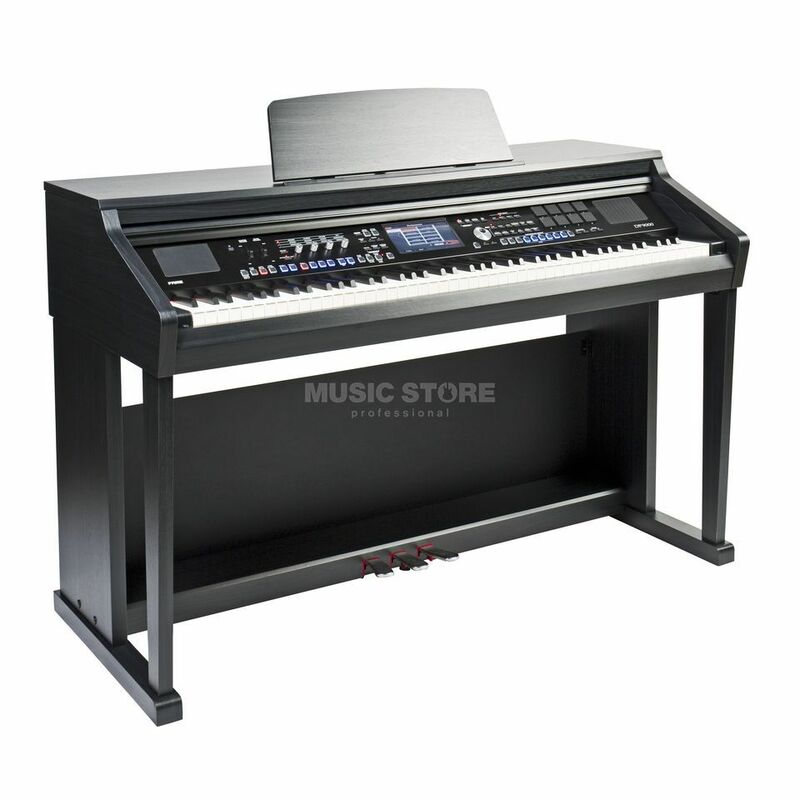 This piano comes with a variety of accompaniment arrangements, allowing you to practice without a band. A total of 240 styles are available that allow you to play jazz, traditional, or modern dance music. The DP-9000 has a 7” colour-coded touch-display allowing you to interact with every function this piano has to offer, including the selection of sounds, rhythms or complex programming such as effects settings or recording. A built-in MIDI and audio recorder enables the player to record up to 500 songs, but if this is not enough, you are also able to record directly to a USB stick (WAV / MP3 / WMA) and then edit it on a computer.